Tag Archive | "Ben Folds"
I no longer like Ben Folds. 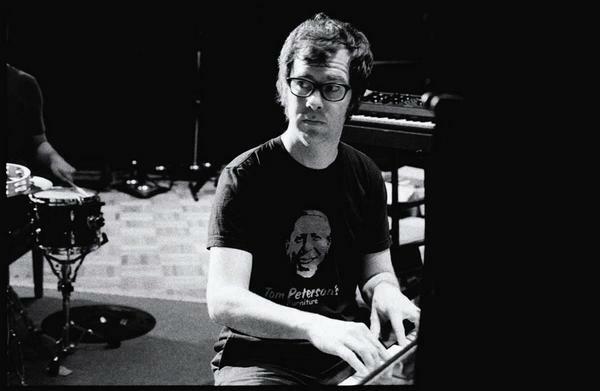 In my humble opinion, it seems that Ben Folds is one of those rare artists that reaches popularity of massive proportions yet holds a place in the hearts of indie aficionados for boldly going where no one else was with piano and pop punk hooks amidst the swell of the grunge era. I’ve fit into that crowd of Folds lovers for a while now. I have a definite affinity for “Brick,” “The Luckiest,” “The Breakup Song,” and many others. Thus, I was pretty excited when a friend loaned me North Carolina native Folds’ latest release, Way To Normal. Folds has always taken on the persona of an uber-geek poking fun at popular culture, while also being the first to point out his own shortcomings in a very likeable and relatable way. However, on this album, he just sounds like an old crab going through a mid-life crisis. He’s always made a dollar off of his bitching and complaining, but at this point I feel like he is just making music for the sake of making music, except that this time he was much grumpier. It is far less tongue-in-cheek than it is dull-knife-in-eye. There are a couple gems, namely the songs “You Don’t Know Me” and “Cologne,” but that is it, at least for me. I believe he could go so much farther and yet, even at the age of 42, just refuses to. I’m all for the magic of simplicity and for remaining young at heart, but I can’t imagine still listening to anyone over the age of 35 performing a record like Way To Normal. I’ll take the old Folds, please. I just can’t enjoy the new stuff.